I'm excited and inspired when I discover a new crochet stitch! and wool Stylecraft Special Chunky. I made other more big with blue color. although it has more weight than Stylecraft. Here I also worked with 6mm crochet hook. And I like the brown cowl and the blue cowl. I encourage you to do cowls like these. Are pleasant to make and perfect for a gift. these will be much more beautiful! in my world of wool. 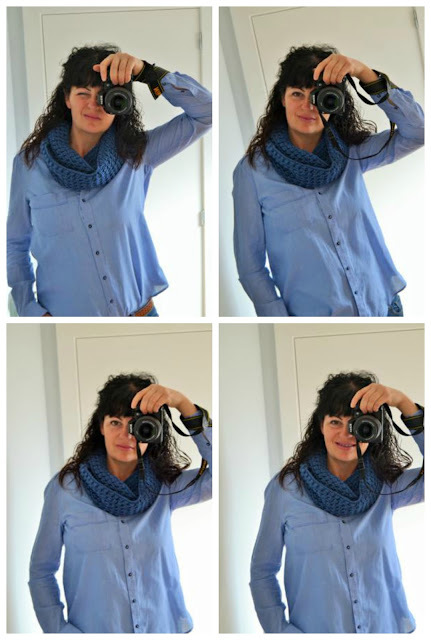 Love the blue cowl!!!! Very nice stitch!!! 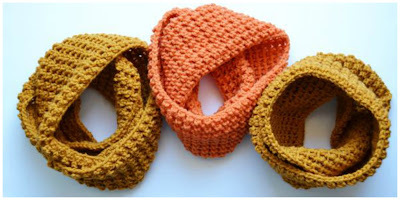 Really nice colours you've used for these cowls. These are nice to wear, aren't they? 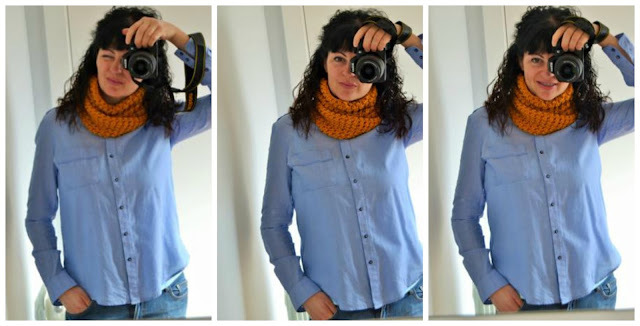 I really like the yellow one you made of Stylecraft yarn, good idea! 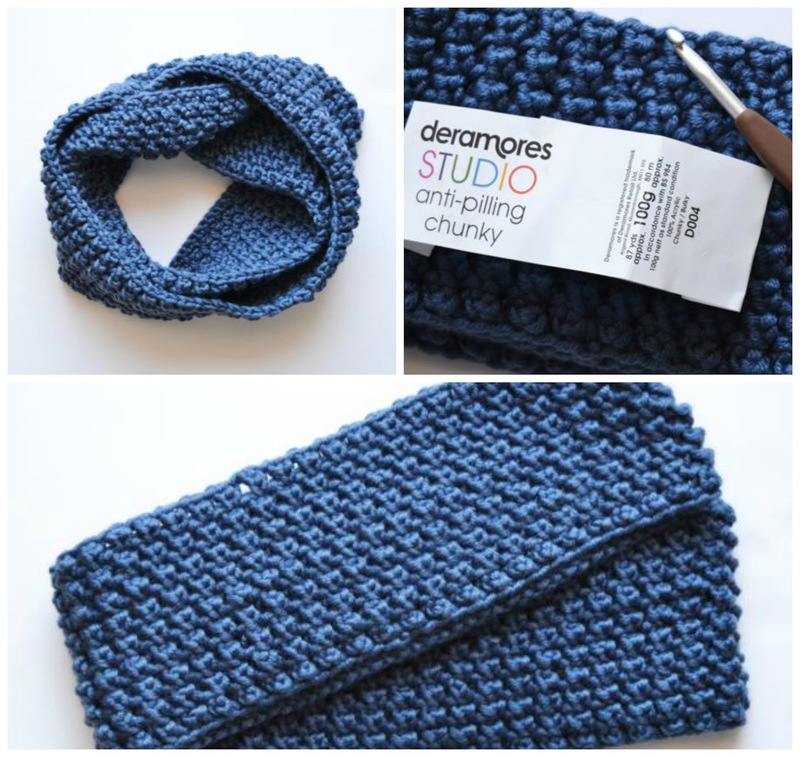 Question: how many balls of yarn did you use for one cowl of the Stylecraft chunky? Hi, Ellebel! i'm very happy to see you here! Perhaps I will explain in this post how many skeins I used and how many chains I made, right???? In cowl brown I made 150 chains and 12 rounds, and I think that I used 1,5 skeins of yarn or less .... I hope that this serve to you ... I hope you have a nice day and many thanks for stopping here in my world! You makes me very happy! Thank you!! Have a great weekend! Ostres, que xulo! Ja em miraré el video un dia d'aquests. Aquests colls són molt macos i, el que és més important, tenen pinta de ser ben calentets! Love these chunky cowls and your selfies rock!